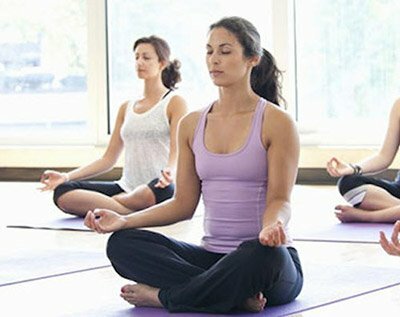 Namas T Yoga & Wellness Studio offers the best yoga classes in Newtown Square. We welcome all ages, genders, bodies, and teach all levels. So whether you’re a new soul or an old soul, we have a class that focuses on your individual needs. Our beginner classes focus on fundamentals with detail explanation and teachers that are there to help you perfect your form. We’ve seen so many successful new students become master yogis we truly own it to our dedicated and loving teachers. So whether your looking to further your strength, balance, agility, or stamina we have a beginner, intermediate, or advanced class for you! 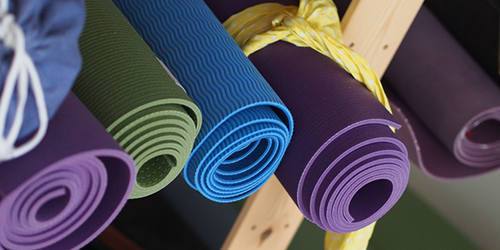 Our diverse range of classes from gentle yoga, to hot yoga, to vinyasa, and more mean that you can find the right class to meet your individual needs. What are you waiting for? Contact us today to set up a free consultation! For the latest special events, deals, and more, sign-up for our Newsletter. 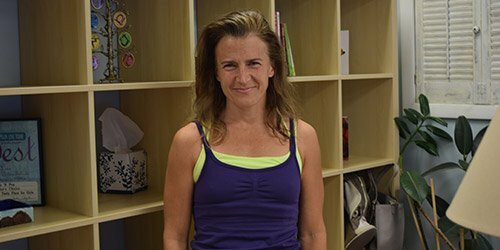 In a non-intimidating setting, this class is perfect for beginners who want to sample yoga in a gentle setting. This class focuses on the breathing, proper alignment, and fundamental yoga poses (asanas). Flow yoga will usually begin with gentler movements to warm up the body, then move into progressively more challenging flowing sequences. These may include balance and peak poses. Class will end with calmer, deeper stretches, and often floor-based asana practice. Using bolsters (pillows), blankets, straps, and blocks, this class focuses on stillness to reduce chronic stress and restore health. The props offer a supportive setting for total relaxation, and further the mind-body-soul connection. This class will ground you as you go through your asanas using the wall as a stabilizing prop. 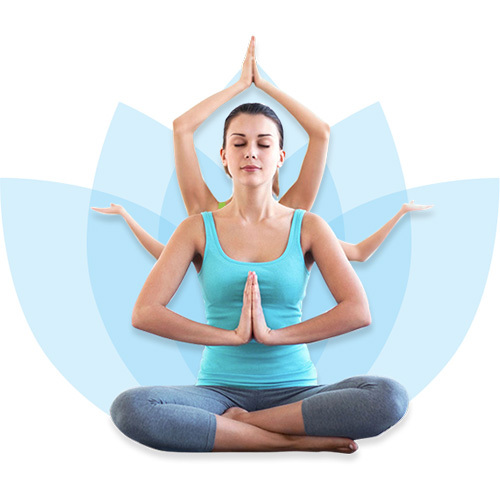 Hatha yoga is the format for this class using mindfulness and meditative breathing to enhance your skills as a yogi. This class incorporates free weights (weight training), cardio, and balance to intensify your poses and increase alignment, strength, and stamina. This class can be modified for all levels: beginner, intermediate, and advanced. 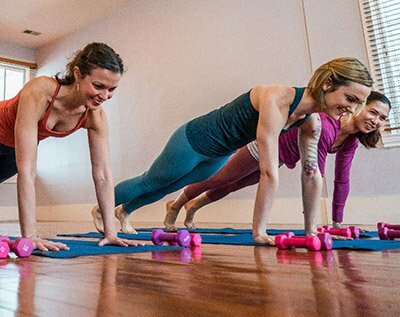 This class incorporates slow, gentle stretching to lengthen muscles and stretch connective tissues. The slow-paced poses are held for longer periods of time adding intensity to this class to further your results. Our studio is always expanding! 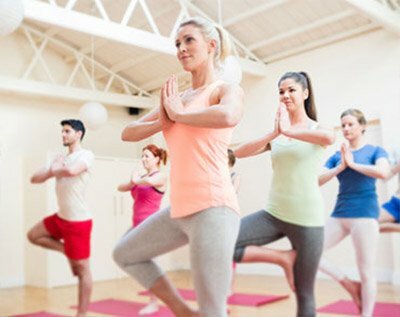 We have many classes in addition to the above classes such as heated classes, candlelight classes, yoga basics, and more. For a full list of upcoming classes, please check out our schedule or contact us today! Conveniently located in the Newtown Square Shopping Center. Our main entrance is on Clover Lane which is on the same street as Starbucks. View the map below for more information.